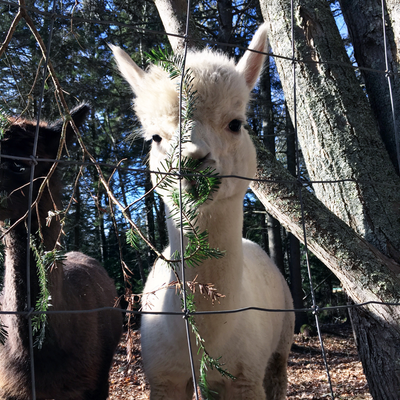 Our goal in purchasing our alpacas was twofold. 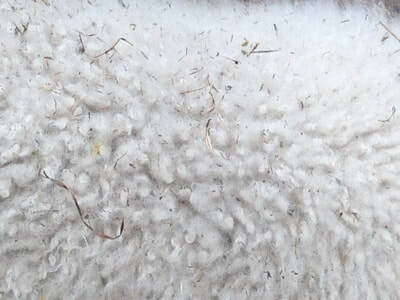 We wanted to bring to our farm a core group of animals with quality genetics for breeding and we wanted the soft luxurious fleece to spin, weave and knit. 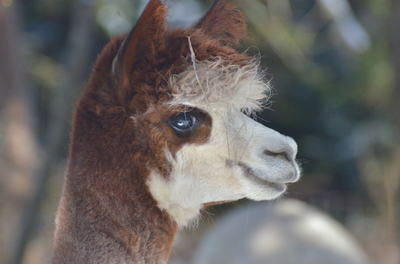 We are now breeding solely to create a long lasting fineness as the alpaca ages. Our alpacas represent the wide range of natural colors as you will see posted below. 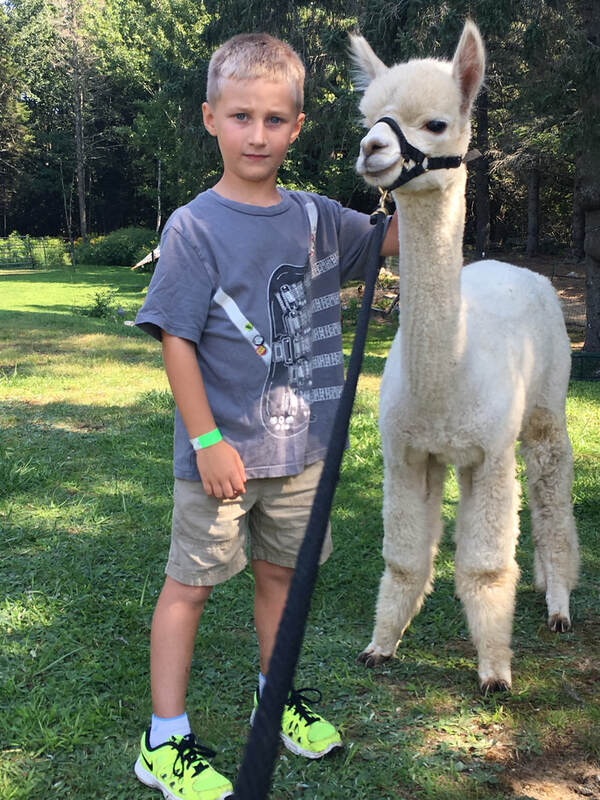 We remain a small farm focused on producing alpacas with high quality fiber while ​selectively breeding for improvement in our herd. 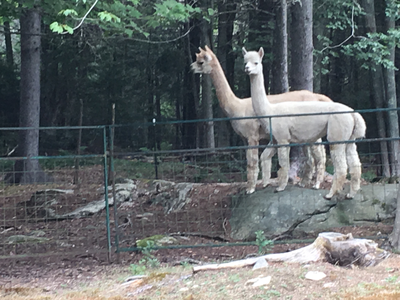 Please contact us if you are interested in purchasing from our herd. 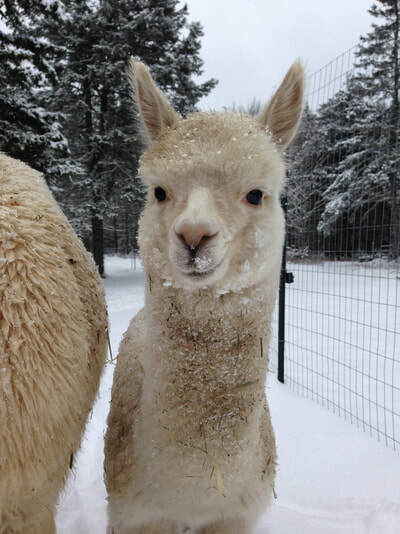 Winterberry, aka Berry, is our first baby alpaca also called a cria (pronounced kree-ah) born on our farm. She has a super dense fleece which is tightly bundled and long in staple length. She is our only white alpaca, which spins up beautifully! Berry is happy to have visitors scratch her cap as long as you are feeding her. Come by and give her a scratch! Dory's fleece is quite an improvement over her mother Rosetta's fleece. She shares the same sire as Zapata's America and has inherited her sire's density and softness. You will drool over her soft yarn, spun at our local Maine mill, and delight in the end product either knit or crocheted. Rosetta of Red Ghost and her baby Zapata's Dory. Caliente's first born arrived the day after Thanksgiving - 11/27/2015 at 9 am under the spruce trees surrounded by the herd. She delivered a sweet baby girl - 14 lb. named Winterberry. 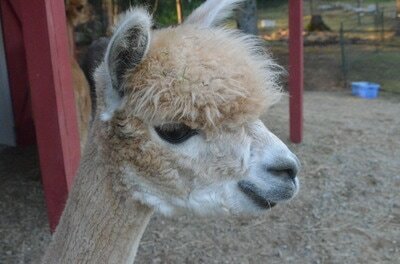 Caliente continues to provide us with a beautiful soft fleece every year. We love to see her yarn spun up at our local mill. Knitters are treated to a sweet knit once they get their hands on Caliente's yarn. 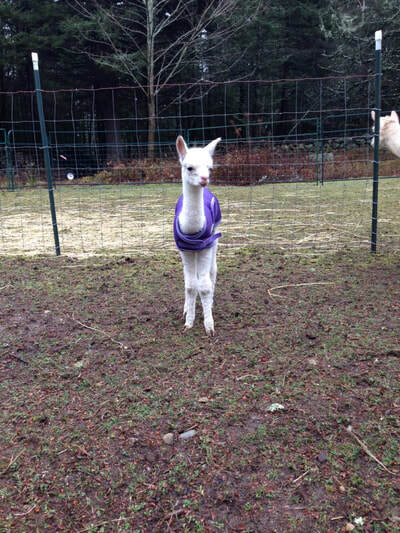 In the photo below, Rambling Rose stands next to her first cria - Tidal Surge. 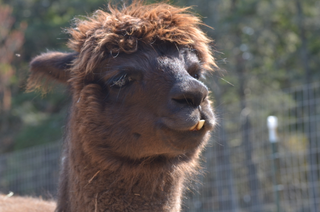 Rambler is a great mom and is the first one to come and greet us looking for apples or a treat. 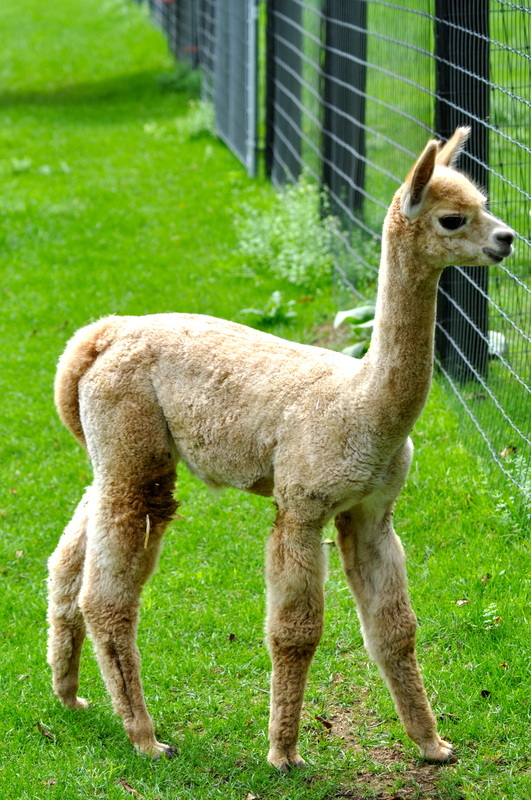 She is a modern rose grey color, unique and sought after by breeders. She is our fleece hound with a very long staple length of fiber. 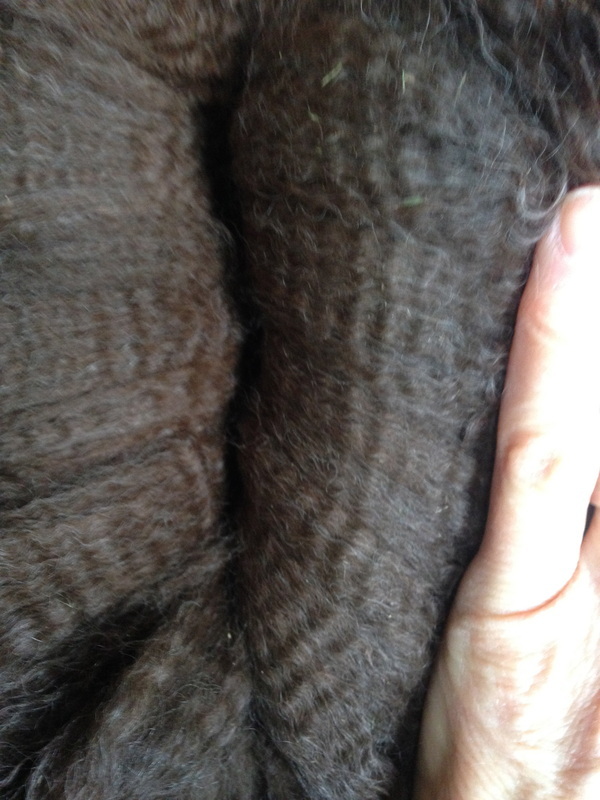 Rambling Rose's fleece color is gorgeous and is lovely to spin! We usually keep her fleece home so that we can spin it ourselves and share with you! In July 2014 Ramblin Rose, was bred to LAF Inevitable (Bull) and gave birth 7/9/14 to a strapping male, Jackpot, who looks just like his sire - photos below. Jackpot was named after our annual family Texas Hold'em Poker Tournament. March 2015 Phantazia Rose hand spun navajo ply. 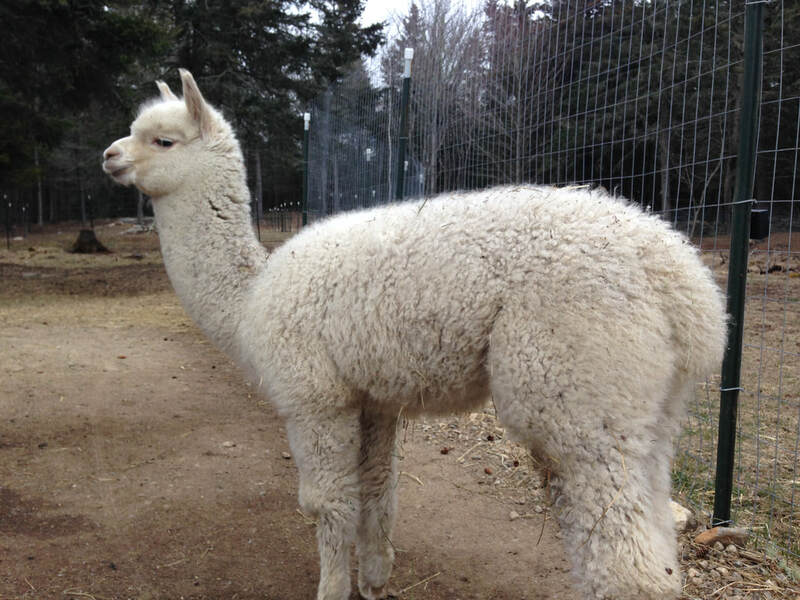 ​Phantazia is a light rose grey with beautiful soft fleece and a sweet disposition! 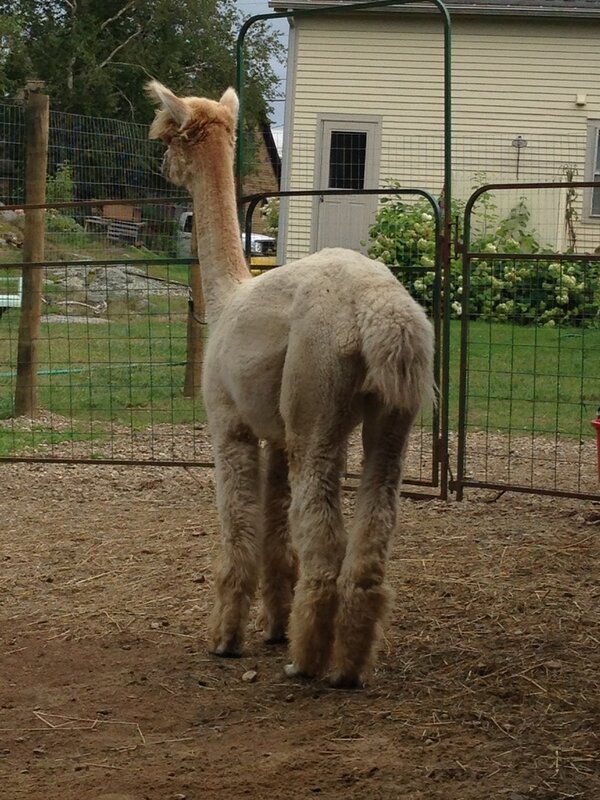 She is the head of our female herd here on the farm. She was in the show ring in the FALL of 2014 at the Green Mountain Extravaganza. She took home a blue ribbon. Phantazia's fleece and yarn is kept here on the farm to hand spin for custom orders. Her fleece is colored light grey with a lavender hue. Tiny (Commotion), is a light beige color with a beautiful sheen of white! She gave birth to a male alpaca, LT. Tyson (Ty). in 2013. He is sociable and always first in line for a treat. He is a dark rose grey with a very chocolatey brown cover. 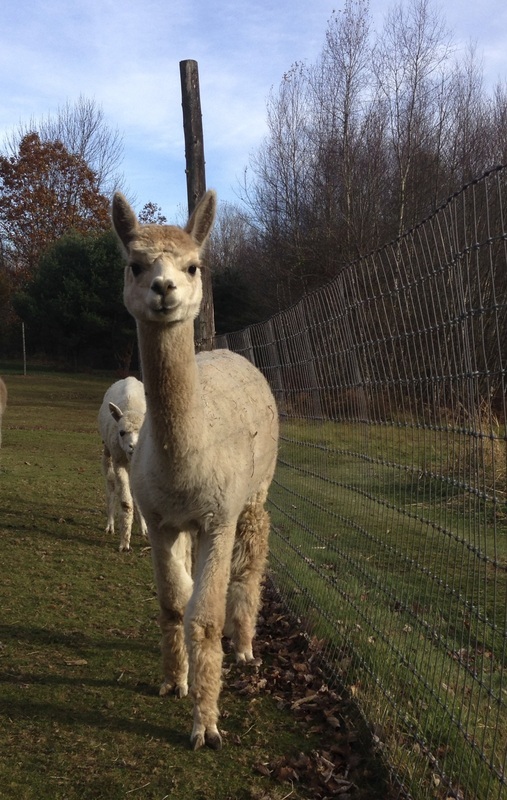 Tiny is our oldest female on the farm and she still creates a beautiful yarn! 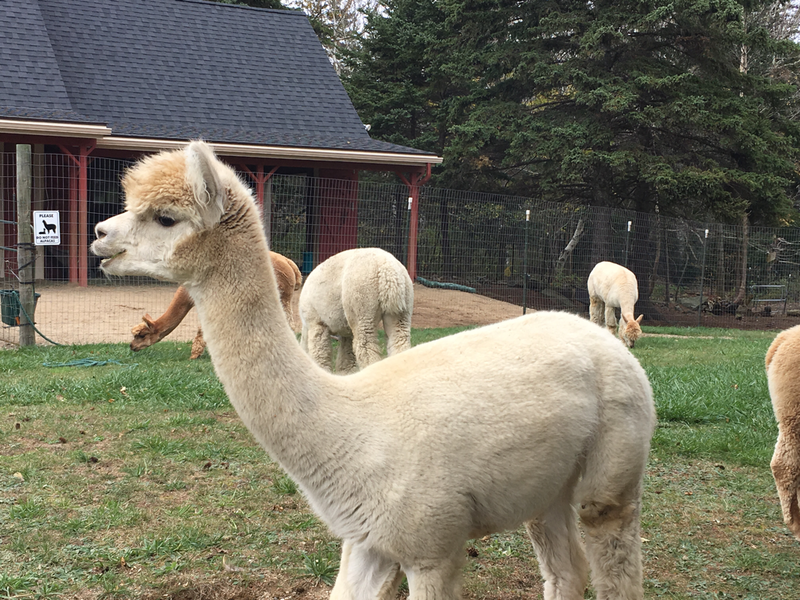 We bred Tiny to Tornado Warning in September 2017 and look forward to a cria that matches her softness and Tornado's grey hues! Hand spun Zapata's America beautifully soft and colorful! 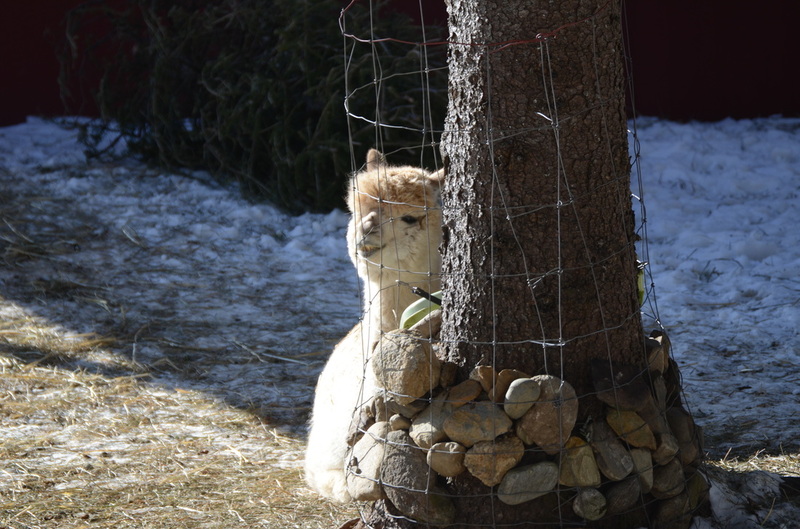 America placed 4th in a class of 8 at the North America Alpaca Show in 2012. She also placed 4th in a class of 9 at Empire Alpaca Extravaganza in Syracuse NY 2012. Great ribbons for a small farm girl! 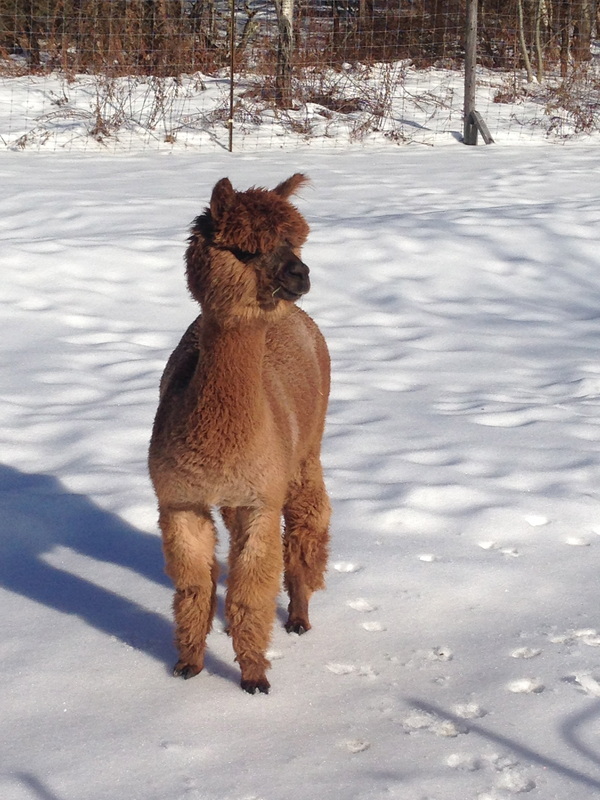 Viola, half sister to Rosetta, has her sire's fleece. Snowmass Royal Rose is a multi-champion winner. 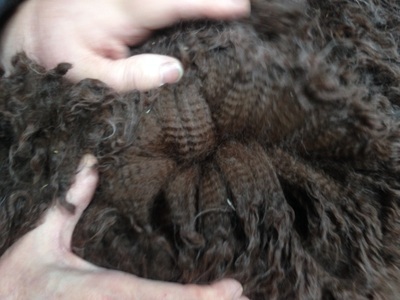 Viola has bundles and dense, dense fleece! 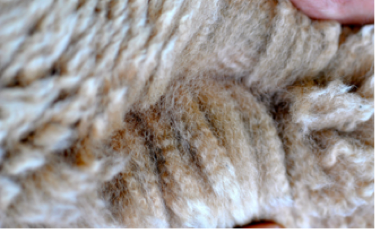 Her yarn is soft and airy, creating a glowing product when knit or crocheted. 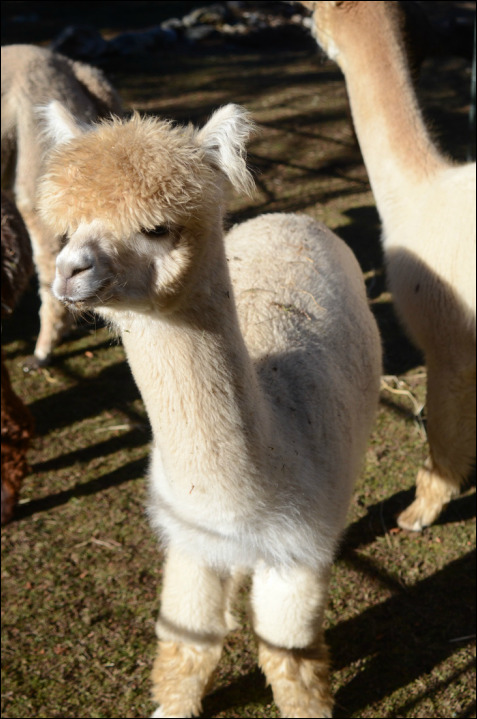 She is a lovely, light fawn girl who has been bred to Tornado Warning for a 2018 cria! Update: Viola gave birth to a beautiful male cria, 10/5/19 who we named Cape Newagen's Umberto! Come by and meet Bert! 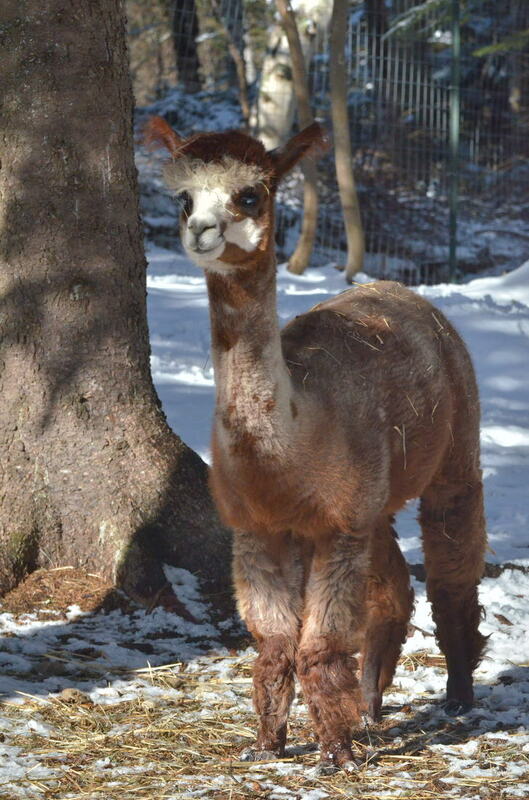 Julianna has a very soft fleece and a sweet disposition and personality. 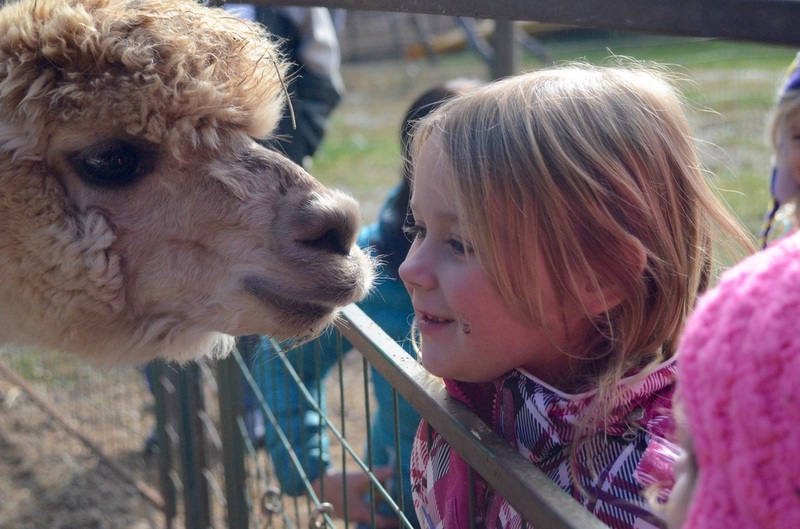 She is usually the first to greet a guest with a kiss or a sniff. 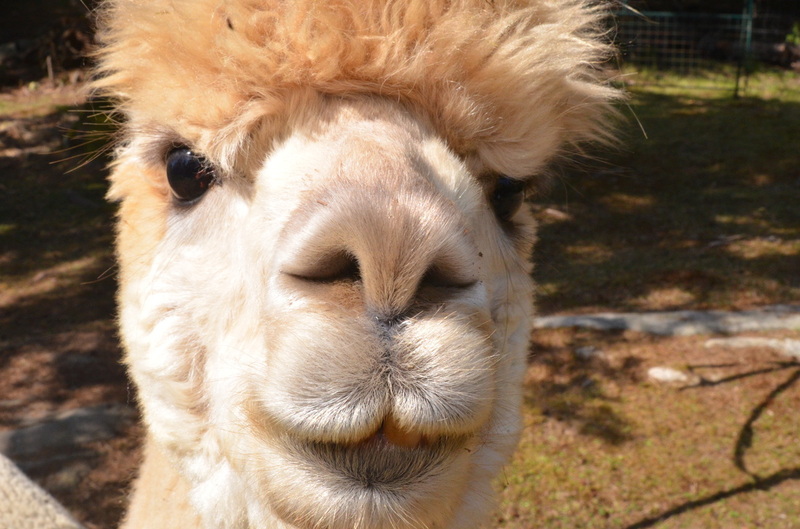 Her fiber statistics were the number one reason we chose Julianna to be on our farm. Her personality is an added bonus!! Once you visit and get a smooch you will understand. 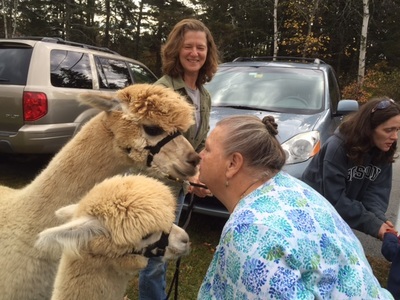 Julianna had been providing our visitors with soft luxurious yarn. 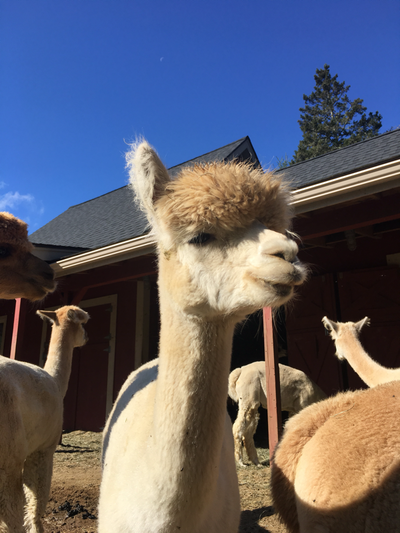 We enjoy knitting and crocheting her yarn for our customers and always sell out Julianna's yarn before our next shearing session. 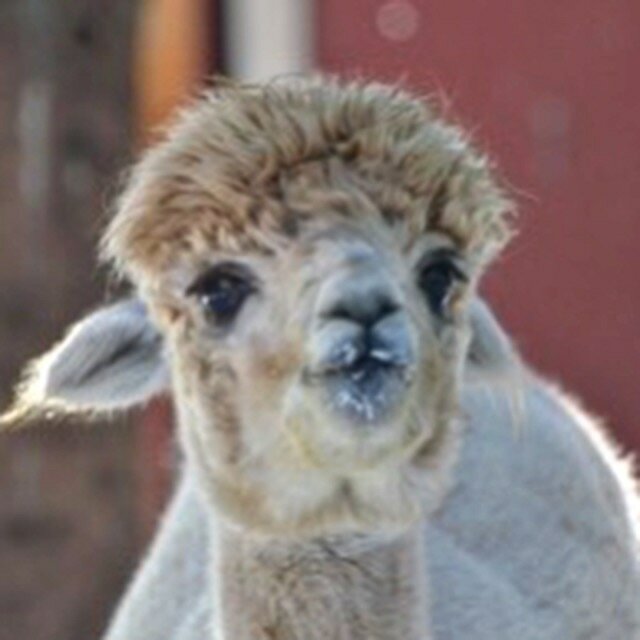 Julianna gave birth to her second cria, a male, on 8/23/19. He has his mother's personality and a sweet disposition. 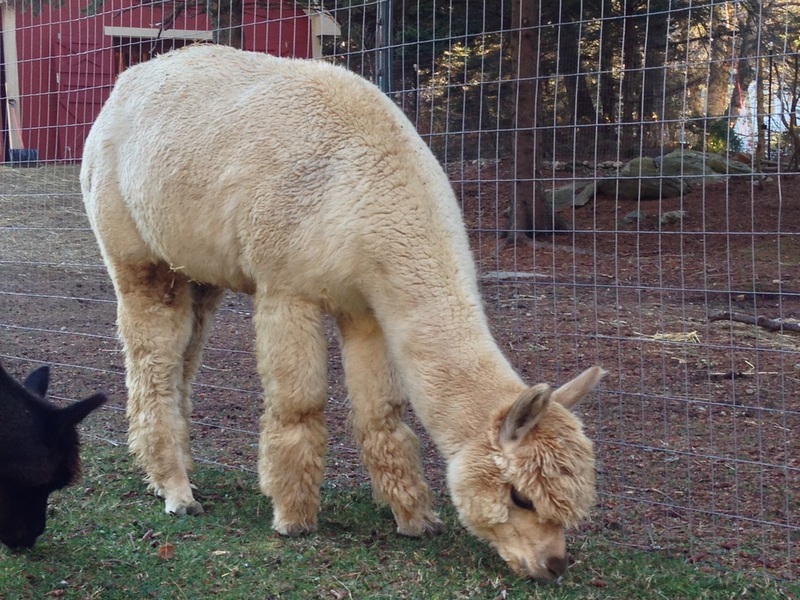 Long fleece staple length, with a crimp that shines! 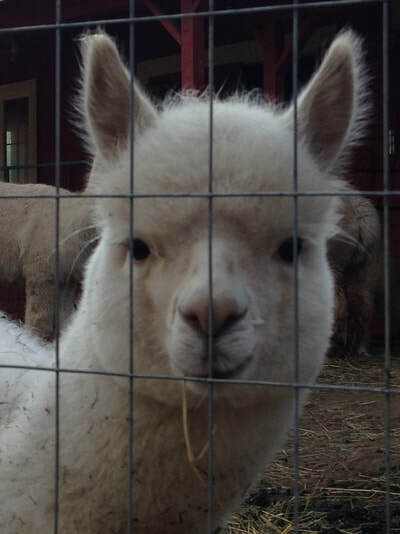 We named him Tornado Warning's Maximus! He's called Max for short. Look out for him as he grows!